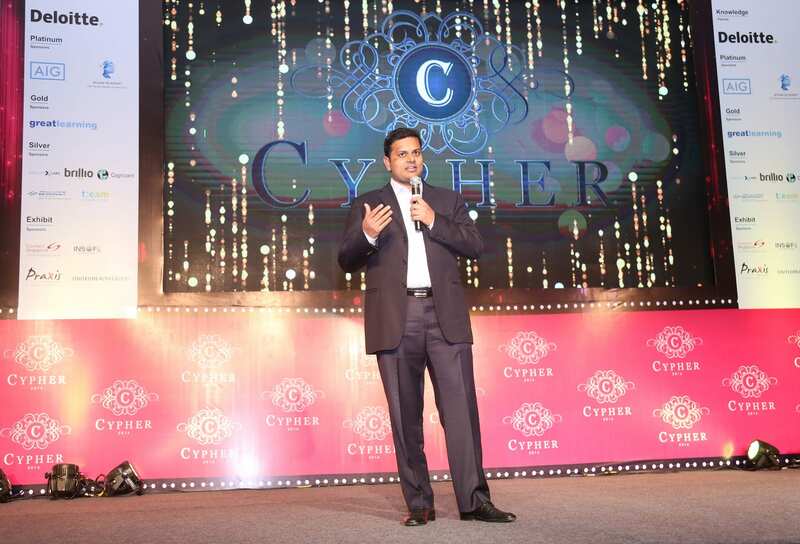 Cypher 2016, India largest Analytics Summit, recognizes Achievers in the Analytics space. Cypher 2016, India’s largest and most exciting analytics summit’s 2nd edition concluded recently. As a concluding event, Cypher hosted an Awards Ceremony in collaboration with Great Lakes Institute of Management to recognize the best in the data science world in India. The Great Lakes Data Science Excellence Awards saw participation from the leading organization as well as start-ups from the analytics industry. The awards was a showcase of the best practices and stellar achievements of enterprises in this sector. The awards were presented for 5 different categories. Under the category ‘Best Boutique Analytics Firm’, 2 companies emerged as clear winners – Bridgei2i, the analytics solution provider and Cartesian Consulting, a consulting firm specialising in marketing analytics. For the next category ‘Best Data Science Project’, the award was presented to Brillio for their achievements in the debt collection space, Happiest Minds for their project mCaaS (Managed Content as a Service) and TCS for their project TCS Optumera–Macrospace Optimization. Next category ‘Emerging Analytics Services Startup’ award was well deserved by G-square Solutions. “We take pride in winning the award as it is a recognition of the hard & quality work we have done in the past seven quarters. Being awarded at a forum which is a congregation of specialised Analytics experts gives us a seal of emerging & strong analytics solutions company. G-Square Solutions strives to be a global leader in plug and play analytics products space in the months and years to come.” said Gurpreet Singh Co-founder & Director , G-Square Solutions. Anand K Sundaram, Head – Credit Intelligence & Analytics, YES Bank commented, “Thanks to Analytics India Magazine for hosting a successful Cypher2016 summit where we could network with data science experts and get to know from Speakers in the forum. It is an excellent to have created a platform to recognize data science application projects. At YES Bank, I am very glad that we have won the Most Admired Data Science Project of the Year”. Manisha is a Senior Content Analyst with Analytics India Magazine. Apart from writing & editing articles and taking interviews, she is also responsible for covering analytics news, and handling social media for AIM. She can be contacted on manisha.salecha@analyticsindiamag.com.